Dark, majestic and sumptuous, the Sasso collection recreates the indulgence of old-world Italian nightlife. Suspended from delicate silver strands, this delicate fixture brandishes rich faux leather delicately hand-stitched into a diamond pattern, accented with tiny sparkling crystals. The tightly gathered fabric diffuser reflects light up into the barrel-shaped shade, allowing the crystals to twinkle and sparkle. 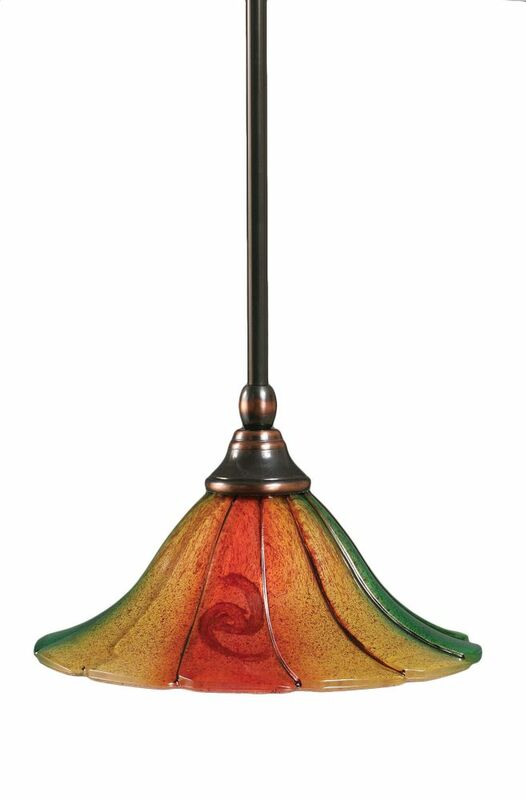 Concord 1-Light Ceiling Black Copper Pendant with a Mardi Gras Glass The cornerstone of the concord Collection is quality, and this pendant is no exception. Combining a classic black copper finish and posh styling, you will find no better way to highlight the charm of your home. With the superb craftsmanship and affordable price this fixture is sure to tastefully indulge your extravagant side.